Getting Traction: Where can we make the most difference and how? This session is about regaining some of the momentum that we had at the beginning of the year and an attempt to bring our teaching lives under control in an effort to be more productive. How might notetaking become more active, personal, brain-compatible and shareable? How might we incorporate symbols and doodles to improve listening, better express ideas, summarize/synthesize learning and make connections? Join a conversation and practice session to explore how we might grow ourselves and our learners through doodling and visual thinking. PBL (and I'm talking about ALL the PBLs here) has been around for awhile. What do you do to take your PBL practice to the next level? How do you +1 the PBL experience for your students AND for yourself? Exercising Our Superpower: How every school can build empathy in children. How do the words we choose to use in school impact our students, positively or negatively? How might we use language to empower, include, and reimagine? 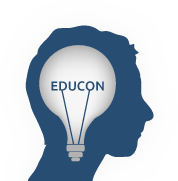 Let's dig in to the evocative lexicon of education and unpack how we talk the talk.